The revolution in data and analytics is changing what businesses know about their customers. At the same time, more travelers choose mobile, meaning travel businesses have to engage and reach customers in new ways. A study by Lenovo found that about 59 percent of people in Asia searched for travel accommodation online via mobile devices—13 percent above the global average. HotelQuickly is one company that has combined mobility and travel with great success. The company taps into the spontaneous side of human nature by providing a mobile-only private sales channel that offers same-day accomodations. Last-minute bookings mean that hotels are willing to grant steep discounts to HotelQuickly members. The HotelQuickly app lets travelers quickly book reservations. Tableau has helped us [HotelQuickly] stay competitive by automating reporting of key metrics and visualizing them in very attractive manner. Thanks to Tableau we are truly becoming a data-driven company. People love the insightful dashboards that are always up to date online. Based in Hong Kong, the company currently serves the Australia, Malaysia, Singapore, Thailand and Vietnam markets, featuring more than 6,000 hotels. The app is localized to six different languages, including Bahasa, English, Thai, Vietnamese, as well as simplified and traditional Chinese. As HotelQuickly’s operations expanded over the last two years, the amount of data the team had to crunch—from customer information to hotel rates—had grown tremendously. The company’s largest data sets have hundreds of millions of rows in a single table. One of the earliest business challenges the Business Intelligence team faced was helping management make fast, informed decisions. Another challenge was preparing reports for investors in a timely manner. “We used to spend a lot of time exporting data to Microsoft Excel worksheets,” said Peter. This left little time to spend exploring the data for additional insights. The team at HotelQuickly started looking for the right business intelligence (BI) tool to support their work in the second half of 2014. “We tried other BI software but found that most did not have good visual analytics capabilities and it was quite difficult to start working with them. I stumbled across Gartner’s 2014 Magic Quadrant for BI and Analytics Platform during my search, and saw Tableau in the top right quadrant, which effectively positions it as a leader in its space, and that piqued my interest. I reached out to few other leading companies in the Magic quadrant and after reviewing the competing products, Tableau felt clearly as a superior solution to our needs. By the time it took me to figure out how to even connect to data in other solutions I was already gaining interesting insights into our data in Tableau thanks to it simple, intuitive drag & drop interface,” Peter commented. Insight into customer behavior helps HotelQuickly make better decisions. Peter went on to download the free trial version, and to his delight, he found it to be very intuitive. He then introduced Tableau to his BI team, which is made up of BI analysts and a developer. “It’s the ability to connect seamlessly to the various data sources (Amazon Redshift in our case), do analysis and gain valuable insights very quickly that made Tableau very attractive to us,” said Peter. Since choosing Tableau, Peter’s team has worked with as much as half a billion rows of data using Tableau. “I was very pleasantly surprised by the speed of Tableau and ability to interact with even big data in almost real-time fashion,” he said. As we run many partnership campaigns, we have to analyze the performance of each campaign and share our findings on a weekly basis. We could not do this prior to having Tableau. The team uses Tableau to develop weekly and monthly reports that they share with the entire company. The reports feature sales figures and updates from top management and country managers, marketing and financial data, along with other growth updates. The comprehensive dashboards make sharing complex information with the rest of the company a much easier task. “People really love the ability to get fresh regular data-driven insights beautifully visualized. To give an example of how team members appreciate the data value Tableau allows – I’m now always invited to kick off the regular weekly marketing call with 5-10 minutes of data driven insights of last week,” he added. 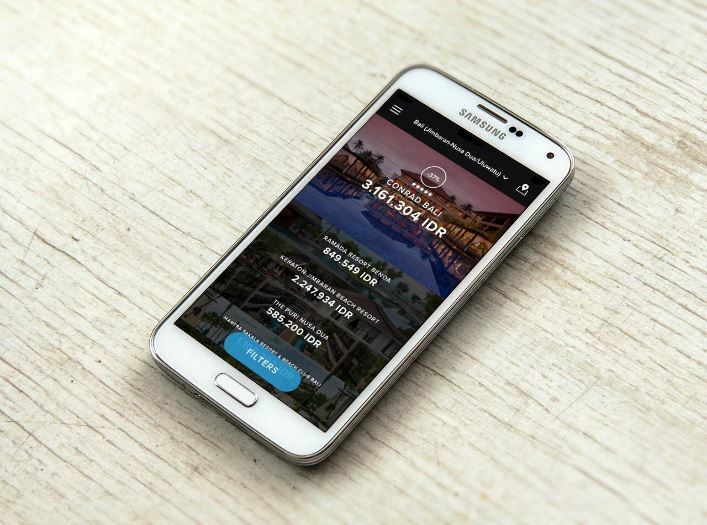 HotelQuickly has demonstrated how a mobile start-up can fully embrace data to stay ahead of competition. “We pride ourselves on having the best prices in the market. Tableau has helped us stay competitive by making the time to develop and deliver insightful analysis and reports significantly shorter. We now have weekly reporting that details KPIs and shows us how the booking patterns have changed, details on revenue and commission, conversion rates and so on,” Peter elaborated. “Our business, which is highly metric-driven, is optimized with Tableau’s rapid-fire data analytics and drag-and-drop functions as we can now compare period-on-period metric,” he added. According to Peter, Tableau is also a powerful tool because of its cross-platform adaptability. “Tableau is perfect for our business. Its beautiful dashboards can be mobile-optimized, which makes it easy for our colleagues to access the findings even on the go. Tableau basically has the power to give us any insights we are looking for from the data that we can get our hands on,” he said. Peter is also impressed by the quality of customer service he received in the early days of using Tableau. “The account manager whom I was in touch with was very pleasant, helpful, even fun, and always responded to my queries in a timely and professional manner. The Tableau support team and online community are also really supportive by offering troubleshooting advice,” he said. For companies that are looking for a BI tool that appeals to non-technical users, Peter has some suggestions. “Consider what you want to achieve with your BI tool of choice, then go ahead and try the free version out and see if you like it. With Tableau, you will see the difference quite quickly. The entire online training is free—I found the webinars to be really useful in helping my team and myself to pick up the tool quickly. Our new intern got from zero to ability to really contribute with Tableau analysis in almost no time,” he concluded.